In addition to being great to watch with friends and family, Star Wars also provides fans with all sorts of great opportunity for really fun fandom! Parents and grandparents can share their love of Star Wars with their children with purchasable Star Wars figures, Clone Wars cartoons, or even a trip to the world of Star Wars at Disney World’s Star Wars Launch Bay! But you don’t have to travel to Florida for Star Wars activities. 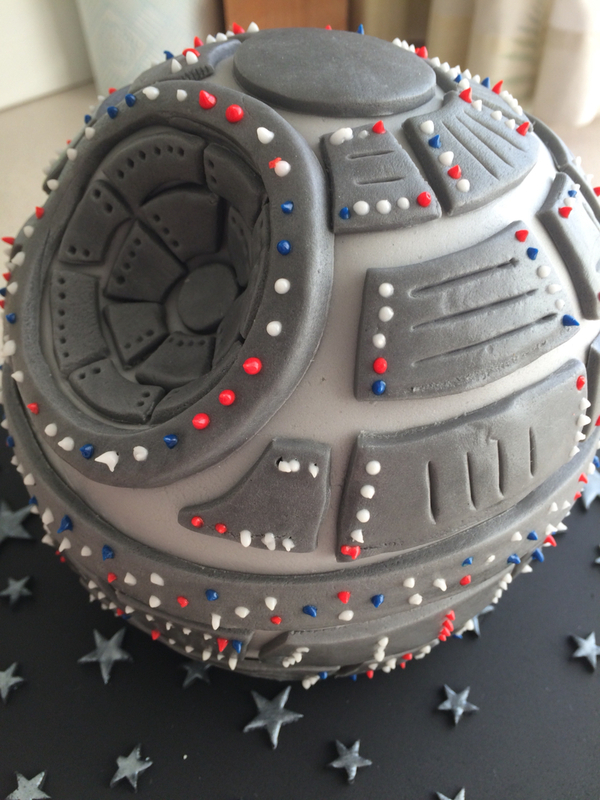 Foodies can get in on the fun with Star Wars themed baking! Themed cookie cutters and cake forms are widely available and, for the truly culinary gifted, there are plenty of online tutorials showing fans how to make realistic-looking Death Star cakes! If you would rather become the characters than play with the characters, that’s easy to do! 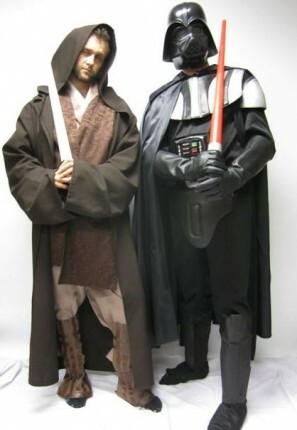 Guys can dress up as Luke, Hans Solo, or Darth Vader. Grab your trusty lightsabers and have an epic battle of your own! There are awesome characters for girls as well! Princess Leia is fun for girls and women alike and there are so many different ways to dress up as Princess Leia! If you’re feeling daring, show off some skin in the beloved Slave Leia costume. It’s sure to make you the center of attention at your next costume party or cosplay convention! Don’t forget the fun accessories, like the bronze choker necklace and matching upper arm band. The latest chapter ‘the Force Awakens’ brought back familiar faces from the original trilogy, but while tipping its hat to the existing universe, the film took us around the galaxy to different planets and introduced fresh names. The unfamiliar characters made impressions. Of all the new faces brought into the story, the ones we’d like to befriend are: Kylo Ren, Rey and Finn. Bored of being human? 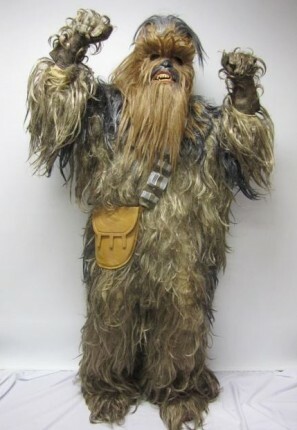 Try being Yoda or Chewbacca for the afternoon! You can learn a whole new way to communicate with your family. Disney is developing new Star Wars lands for their Disneyland and Disney World parks! Not only might you run into Chewbacca at the market, but you can take a turn flying the Millennium Falcon in one of the two featured rides in the park! 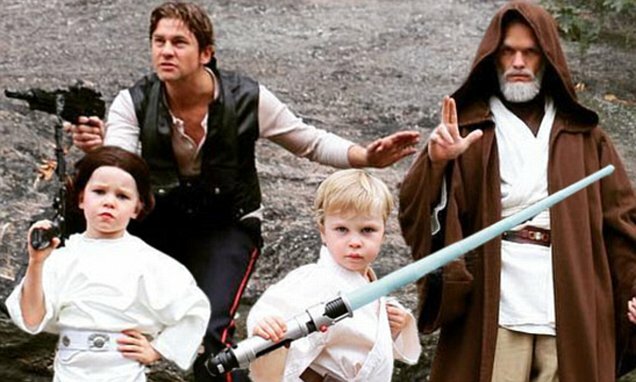 Whether you’re watching the movies as a family, attending a cosplay convention or costume party, making a Death Star cake or planning a trip to Star Wars land, it’s fun for all ages. Every day is a good day to be a Star Wars fan and the fandom is best enjoyed interactively, this May the 4th.